Inter Milan are the latest club to be linked with Tottenham midfielder Christian Eriksen. The Dane’s contract expires next year and he has yet to agree a new deal, leading to speculation that he could be sold this summer. Real Madrid have been linked with Eriksen, has have Paris St-Germain. And the Daily Mail have picked up on reports in Italy that Inter are eyeing him ahead of a possible move. 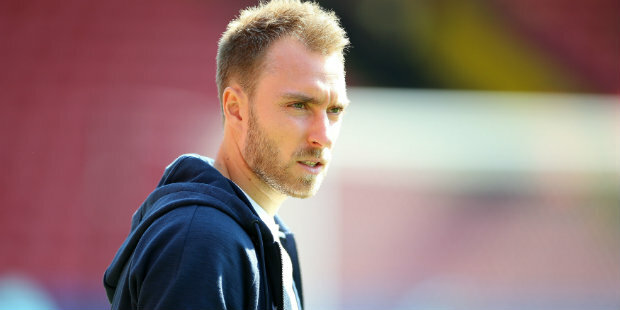 Italian publication Gazzetta dello Sport say Inter have joined a race to sign Eriksen and that the Serie A club’s renowned scout Piero Ausilio travelled to watch him in action against Manchester City this week. Meanwhile, Tottenham goalkeeper Hugo Lloris insists he is unfazed by the criticism he has received this season. The Frenchman was speaking after Spurs’ first-leg win at home to City in the Champions League. Be the first to comment on "Inter reportedly planning move for Tottenham star"